Asheville Skyline’s “Playing It Forward” announces Ticket Special for July 1st and 2nd! This Thursday and Friday, July 1 & 2, Asheville Skyline presents Playing It Forward 2010, featuring headliners Acoustic Syndicate and Col. Bruce Hampton. Music starts at 8:00 pm each evening at the Diana Wortham Theatre. July 1st is a “jam” packed evening of music with Big Daddy Love and Velvet Truckstop setting the stage for the man some would call the “Godfather” of the southern jam sound Col. Bruce Hampton and his “Quark Alliance. While he earned his throne amongst the rockin’ royalty by the jam, with Quark Alliance he shows that he refuses to rest on his musical laurels.Perfectly illustrating one of the ideals of “Playin’ It Forward” Hampton has redefined his style touring with his bandmates Duane Trucks, Kris Dale and Perry Osborne. Bringing on tour a fusion of blues and jazz, that is uniquely Quark. The Asheville Skyline Band will then take the stage in full force “Playin’ it Forward” style. The core group of Jeff Sipe, Ike Stubblefield, Jay Sanders, and Shane Pruitt, alone bring serious expertise to any stage, together they give an almost utopian environment for a group of lesser known (for now) talents who are bending peoples ears. The latest update of players includes : Janell Funk, Dan Smith, Dorsey Parker, Jamie Dose, Bo Henry, Brandon Fox, Tony Kennedy, Craig Sorrells, and more! Closing out Playing It Forward 2010 on Friday, July 2 is the solid sound of Acoustic Syndicate. 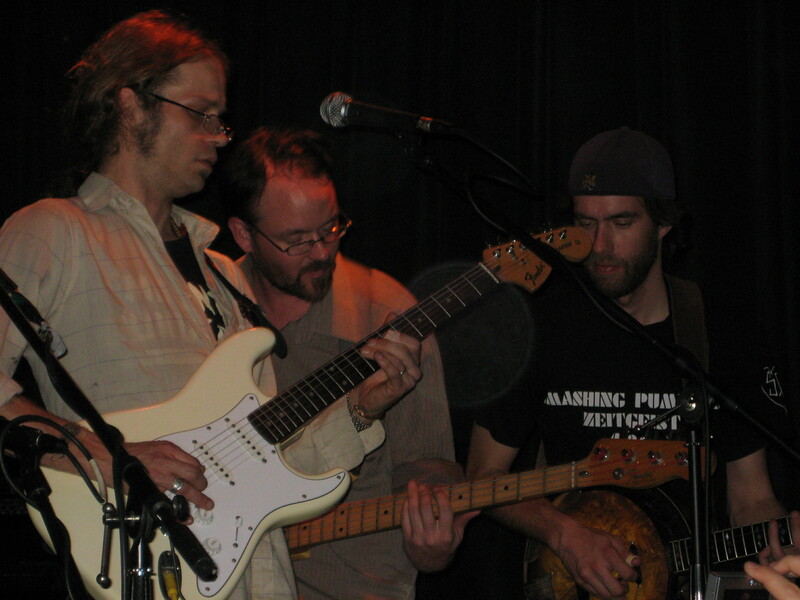 Formed in 1992, Acoustic Syndicate has had a long and storied career having spent well over a dozen years on the road, playing at the original Bonnaroo, MerleFest, the Telluride Bluegrass Festival, Memphis in May and in many other clubs, festivals and events. Known for its high-energy, positive sound, the band delivers a genre-defying performance, masterfully blending its eclectic influences with trademark finesse that only 17 years of cohesive teamwork can bring. Opening for Acoustic Syndicate July 2nd are the Asheville-based The Honeycutters, Ash Grass Revival (Jason Flournoy, John Stickley and Billy Gilmore), and singer/songwriter Chris O’Neill. Other special guests TBA! 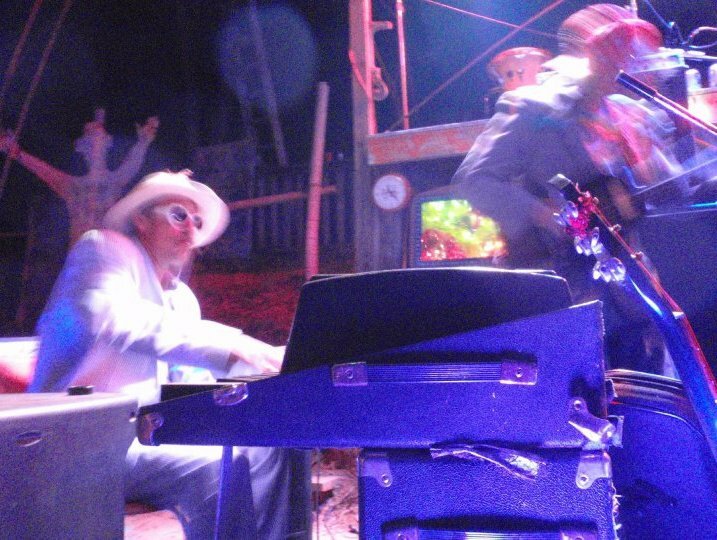 Donna the Buffalo Video from Hookahville! Asheville Skyline presents an ONLINE TICKET GIVEAWAY for “Playing it Forward” with Acoustic Syndicate, Col Bruce Hampton, Ike Stublefield, Jeff Sipe, Shane Pruitt, Jay Sanders, the Honeycutters, Vevlet Truckstop, Big Daddy Love, Chris O’Neill, the Ash Grass Revival and more! This is contest hosted by the Asheville Skyline’s Facebook Page. Become a “fan” and click “like” or write a creative comment below to be entered to win a pair of tickets for each night of “Playing it Forward” at the Diana Wortham Theatre in Asheville on Thursday, July 1st & Friday, July 2nd! Check in here before THIS FRIDAY June 25th at Midnight and enter to win. The winner will be announced online through facebook on Saturday. Keller and the Keels are still on the Lam…. Honest Tune: (To Keller) You have a new record out with Larry and Jenny Keel. Would you mind giving a brief introduction to The Keels – how you guys came together, and how the whole creative process has grown to the force that it is now? Keller Williams: We have now known each other for years and this is our second record together withthe last one being Grass in 2006. I met the Keels back in the early ’90s in a bar in my hometown of Fredricksburg, Virginia, and Larry was playing with a group called Fizzawah, which was a side project to Mcgraw Gap, which is another amazing bluegrass band. I was a fan of that group andgot to open for them and play with them some. Honest Tune: (To Larry) Andwhat was your original impression of Keller? Larry Keel: Well, Ihad been hearing about him and my recollection of the meeting is entirely the same. Everything that I had ever heard about him was how hard of a worker he was, particularly in the Virginia area. Then I met him and I was like, “I like what this guy has got going on.” It is totally unique, and it is his ownthing, which is something that I have always tried to do in terms of having my ownsound. Since then, my respect has remained in the utmost of ways. He has stayed on his own path, doing his own thing steadfastly. Then there is the simple fact that he is just a good guy who has become one of our very best friends. KELLER AND THE KEELS ON YOUR COUCH??!! ORDER BY AUG 31st AND ENTER THE SWEEPSTAKES! KELLER, LARRY AND JENNY ARE ON THE LAM…..and we have no idea where they’ll end up! In a never ending quest to do things that have never been done, we present a opportunity like no other, and if you play your cards right, you may be the lucky one able to assist in their capture and collect the REWARD…..a 90 minute acoustic performance by Keller and The Keels in YOUR living room for you and up to 49 of your friends! All you have to do is buy the new album “Thief” at Keller’s OFFICIAL MERCH STORE by August 31, 2010, and you’ll be automatically entered into the contest. Yes, it’s true. A statewide NC NORML Chapter is now underway (but not yet nationally certified) and we are getting together, and getting down, this Sunday, June 27th. The time for action is now, as we enter the last weeks of the legislative session where the North Carolina Medical Marijuana Act, HB 1380, is pending. Come be a part and learn how to best convey your grassroots support! Part 1 is an organizational meeting; Part 2, an awesome musical celebration! French Broad Brewery is opening special for us and OFFERING $3 PINTS AND DONATING $1 back to help NC NORML get 501(c)(3) status. So come on out, drink awesome local brew (as your initial donation) and throw your ideas into the mix. RSVP to Jen Foster at jnfoster@mindspring.com if you want to get involved. THEN…..DRUM ROLL, PLEASE…….AN AMAZING SHOW RIGHT NEXT DOOR! Whenever Aaron Woody Wood, Jay Sanders, Jason Flournoy and Mike Rhodes get together, it is always Trouble. Long time friends and musical companions, these fearless adventurers have long been an exciting and pivotal part of the Asheville music scene. Their collective resume spans such influential groups as Acoustic Syndicate, The Blue Rags, Donna The Buffalo, Larry Keel and Natural Bridge, Hollywood Red and Shanti Groove just to skim the surface. But none of the individuals have ever been bound to a singular identity. Rather, each player has forged a unique and celebrated voice in the musical community. You can expect to be entertained by their virtuosic skills as the four travelers embark on another epic adventure. Just be sure to have your seat belt fastened, we wouldn’t want to lose anyone during take-off! Minimum $10 door to help gain 501(c)(3) status, additional contributions always welcome! Bring yourself and ALL of your friends and be part of this historic formation of NORML in North Carolina. Spread the word.